Good afternoon. Thanks for coming. Thanks to Susan Kemper for organizing this, and to KU for hosting. I’m @philnel on Twitter. 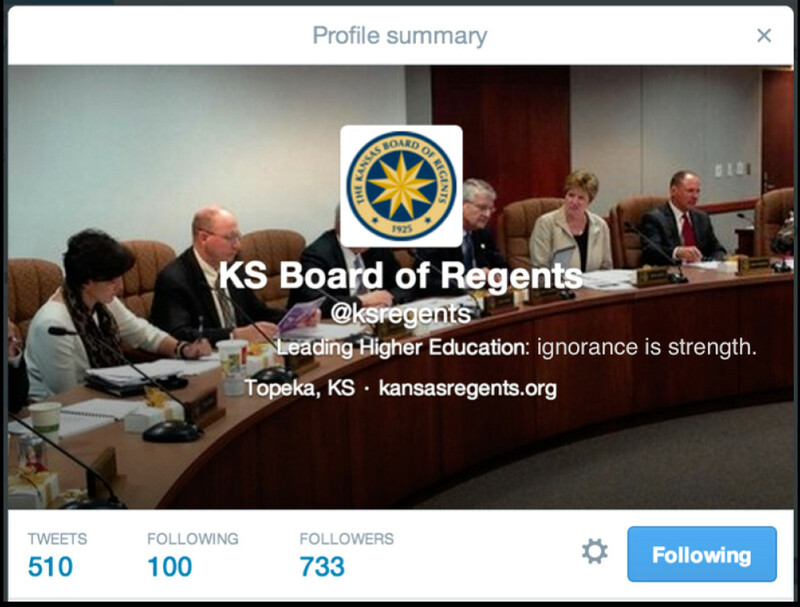 The Board of Regents is @ksregents. And the hashtag for this conference is #FreeSpeechKS. If you Tweet, feel free to tag us. In case there are any Regents unable to attend, I will periodically live-Tweet my talk, and post the full text when I finish. 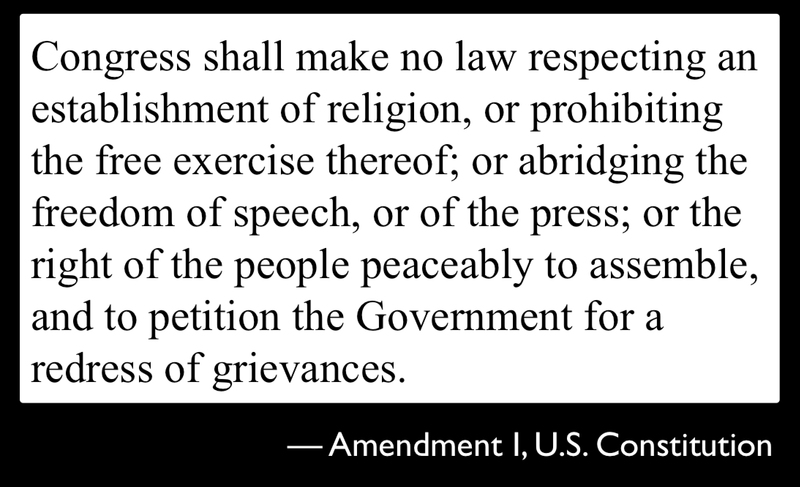 I open with that because everything I am saying now is protected under the First Amendment of the U.S. Constitution. It’s protected whether I say it in this room, on a blog, via social media, or directly to Regents Chairman Fred Logan. What we are all doing here today is asserting our rights as U.S. citizens to speak, without fear of censure. Institutions of higher education are conducted for the common good…. The common good depends upon the free search for truth and its free exposition. Academic freedom is essential to these purposes and applies to both teaching and research. Freedom in research is fundamental to the advancement of truth. Academic freedom in its teaching aspect is fundamental for the protection of the rights of the teacher in teaching and of the student to freedom in learning. This fundamental principle is under attack — and not just in Kansas, but in South Carolina, Tennessee, Michigan, Colorado, and many other places. Across the country, opponents of freedom of speech are trying to quash intellectual inquiry, to prevent educators from doing their jobs, and to take away their basic rights as citizens. And, as it so often does, South Carolina has embraced political recklessness with the greatest fervor. This year, its legislature cut $52,000 from the College of Charleston’s budget because — as a voluntary, summer read — the college recommended Alison Bechdel’s award-winning Fun Home, a lyrical, beautiful memoir about her own coming out and her relationship with her closeted gay father. 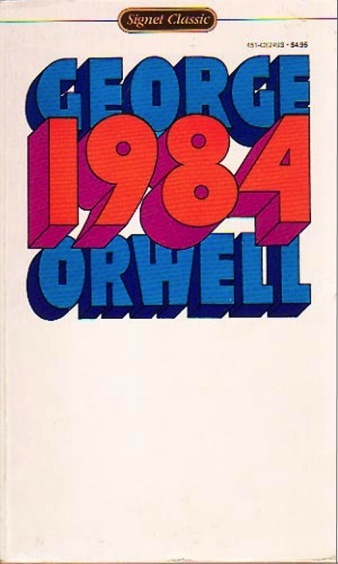 State representative Garry Smith alleged that recommending the book was a form of, and I quote, “academic totalitarianism,” because it “promoted” homosexuality. Also this year, the College’s Board of Trustees ignored the recommendations of the College’s search committee, and instead appointed as the College of Charleston’s new president, Lt. Governor Glenn McConnell, a man so nostalgic for the Confederacy that he likes to dress up as a Confederate general and opposed attempts to remove the Confederate flag from the statehouse grounds. These are only a few examples of recent attacks on academic freedom. But my point is: We in Kansas are not alone. Others are fighting this fight, too. The reasons for these attacks differ. In the case of South Carolina, it’s ordinary bigotry —against gay people, and against people of color. In Tennessee, ignorance also motivates the censor. In Michigan, it’s explicitly anti-labor, enforcing a curriculum designed to create compliant workers, rather than engaged, inquisitive citizens. Ideologically, Michigan’s censors are closest to Kansas’s censors — both see the university not as a place for intellectual inquiry, but as a business that produces future employees. The Kansas Board of Regents views Kansas universities as poorly managed credentialing factories. The Regents are the new management, here to tell us how we should do our jobs, advising us not to step out of line, to just keep producing the diplomas that customers — excuse me, students — are paying for. This is why the Board of Regents always justifies their policy by telling us: It’s legal. We’re lawyers. We’ve checked the Constitutionality of this, and it’s legal. Second, while it’s worthwhile to investigate the legality of this policy, why is that the only question they seem to be asking? Why not ask: Is this good for higher education in Kansas? That, after all, is their job as Regents — to advocate for higher education in Kansas. Third, they don’t ask these questions because the Kansas Board of Regents see a university as just another corporation. But a university is different from a corporation. People who work for universities exchange ideas because it’s our job to exchange ideas. Debate, dissent, discussion — freedom of inquiry — are at the core of what the academic enterprise is all about. Fourth — and this is a longer point — historically, new forms of media have always been the targets of censors. And, historically, the censors have always failed. History tells us that if the Board of Regents attempts to uphold any version of their current policy, then they will ultimately fail. There are many reasons why they will fail, the first of which is that powerful ideas — like freedom of speech — are stronger than the state, more enduring than any who would suppress them. Socrates questioned the wisdom of the Athenian state. It sentenced him to death by drinking a mixture containing hemlock. 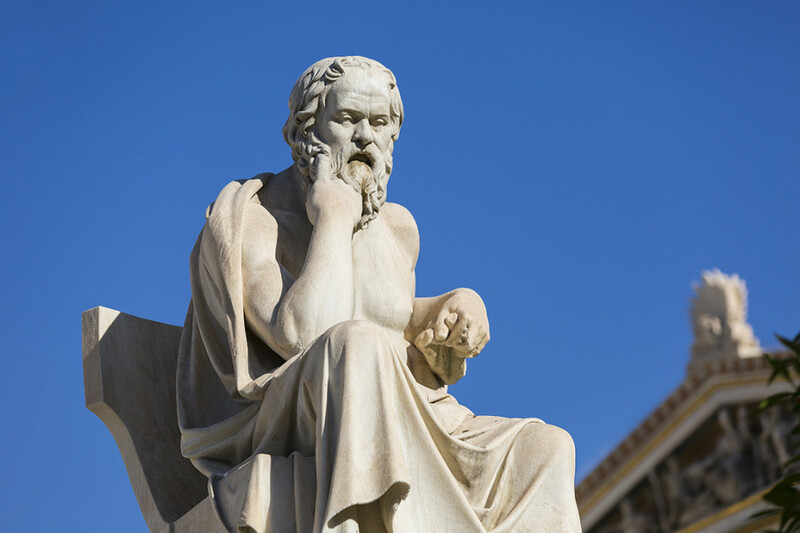 We do not remember the people who tried to censor (and ultimately killed) Socrates, but we still remember Socrates and his ideas — among them, the Socratic method of asking questions to help us arrive at a deeper understanding. I use this method in my classes every day, and I expect many other teachers here use it as well. how can a man teach with autority, which is the life of teaching, how can he be a Doctor in his book as he ought to be, or else had better be silent, whenas all he teaches, all he delivers, is but under […] the correction of his patriarchal licencer to blot or alter what precisely accords not with the hidebound humor which he calls his judgement. […] I hate a pupil teacher, I endure not an instructer that comes to me under the wardship of an overseeing fist. That’s exactly the problem here. We cannot teach “under the wardship of an overseeing fist.” We need to be able to share ideas — such as this quotation, which comes from my colleague, Blake scholar Mark Crosby. As the flames of the French Revolution ravaged Paris a century and a half later, the British government was again worried — this time, worried that challenges to monarchy would jump the English Channel. So, they enacted repressive legislation against the freedom to publish an opinion. This culminated in the famous 1794 treason trials, in which the British government prosecuted people for imagining. 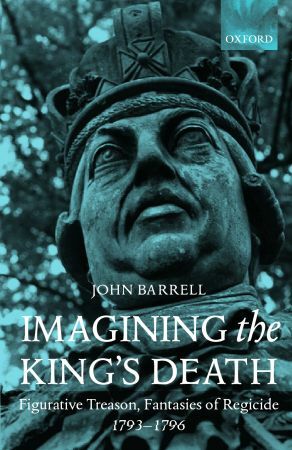 To write or to think about the end of monarchy, you have to imagine the death of the king and so, according to the government, be engaged in a treasonable act. The defense successfully argued that the only people imagining the king’s death were the prosecution. No government ought … to resist the change of its own institutions; and still less ought it to set up a standard upon the various topics of human speculation, to restrain the excursions of an inventive mind. It is only by giving a free scope to these excursions that science, philosophy and morals have arrived at their present degree of perfection, or are capable of going on to that still greater perfection. This is what the Regents resist understanding: “the excursions of an inventive mind” — and “giving a free scope to these excursions” — is the purpose of higher education. In restraining these excursions, the Regents attack our core mission. So. What to do? In Tennessee, people protested, and, in the face of strong opposition, Senator Campfield’s bills died after he failed to bring them up for a vote prior to the deadline. In South Carolina, the College of Charleston’s student government and faculty senate have voted no confidence in their Board of Trustees. Students and faculty have taken to the streets. 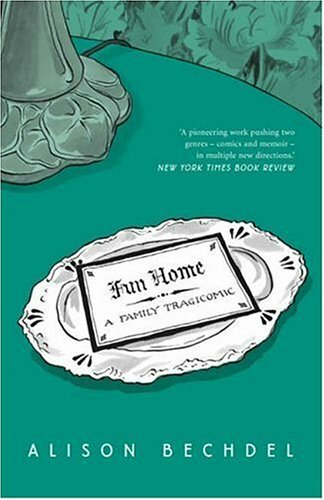 This past Monday, the cast of the Off-Broadway musical adaptation of Alison Bechdel’s Fun Home performed scenes from the play at the College. 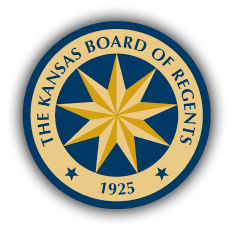 In response, I propose that we: (1) say that we have no confidence in the Kansas Board of Regents’ leadership, (2) demand that they resign, and (3) call for reform in how Regents are selected. Selecting a regent should not be an act of political patronage. People who oversee higher education should actually know something about higher education. I would not presume to tell Regent Logan how to run his law firm – because I have no background in law. And yet Mr. Logan presumes he knows what’s best for higher education. Logan and the Regents’ aggressive indifference to the recommendations of the work group, their condescension towards the faculty, staff, and students that they ostensibly oversee is a clear signal that they have no business serving as Regents. But we need to do more than this. We need to challenge the pervasive argument that education should follow a business model. Higher education provides a public good. We must, as Thomas Jefferson wrote, “Educate and inform the whole mass of the people. They are the only sure reliance for the preservation of our liberty.” That is the purpose of higher of education. And it is the purpose that our current regents reject. The Board of Regents don’t seem to care that their repressive policies threaten the ability of Kansas universities to attract the very best faculty. After all, given the current academic job market, Kansas universities will still find people to staff the classes. Sure, they may not be the best — but so what? Diminishing the value of a Kansas university degree does not trouble the Regents because they have no interest in research. They simply want to funnel as many paying customers (“students”) as they can through the credential-granting business (“university”). Because you measure the value of a university by how many degrees it grants, don’t you? That attitude is dangerous. It threatens not just higher education, but the republic itself. Education is not just about producing diplomas. It is about thinking. It is about challenging assumptions. It is about nurturing an informed citizenry who are willing to challenge the assumptions of those who govern them. It is about making people uncomfortable, in ways that may impair harmony among co-workers, or discipline by superiors — in ways that may not be in the “best interest” of whomever is running a university at any given time. A university is about precisely what the Board of Regents’ social media policy prohibits. So. It’s time for these Regents to step down. And it’s time for Kansans to fight back. This is the full text of the talk I gave today, at Academic Freedom and Responsibility in the Age of Social Media, a symposium held the University of Kansas. The conference hashtag: #FreeSpeechKS. Based on Lawrence Journal-World reporter Scott Rothschild’s tweets (see below), the Kansas Board of Regents are rejecting the social media work group’s thoughtful revisions to the Board of Regents’ failed social media policy. If I understand Mr. Rothschild correctly, they’re going to tack on some language affirming academic freedom to a policy that eviscerates academic freedom. In sum, the Kansas Board of Regents appear to be treating the workgroup’s recommendations as a kind of garnish for the Board of Regents’ original turd sandwich. If you teach at a Regents university, please join us for Five on the Hour (April 21 and 22), when — at the top of each hour, in our classes — we’ll talk about freedom of speech and how it’s integral to our work. 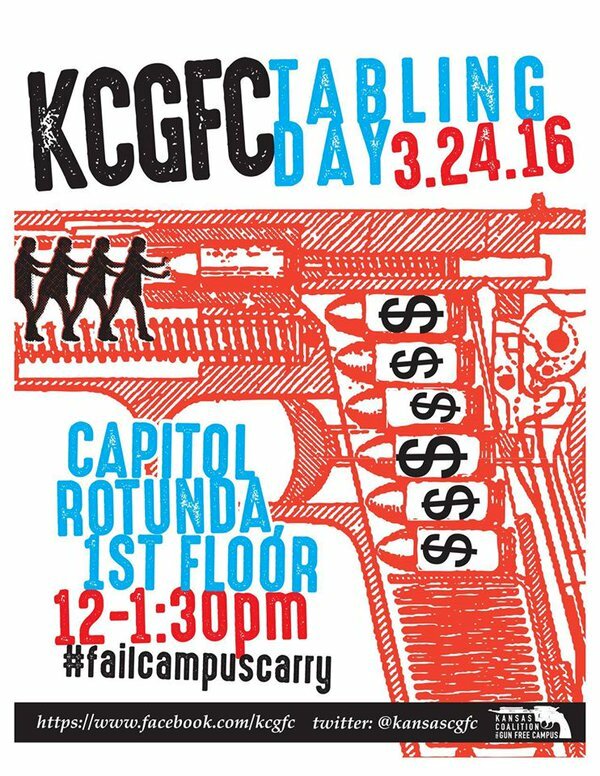 You might also contact the Kansas Board of Regents, and let them know your views. Contacting Governor Brownback is also a fine idea. Come to “Academic Freedom and Responsibility in the Age of Social Media,” at the University of Kanas, 27 April 2014. Free and open to the public. I have to dash off to teach now, but wanted to get this info. out as soon as I could. 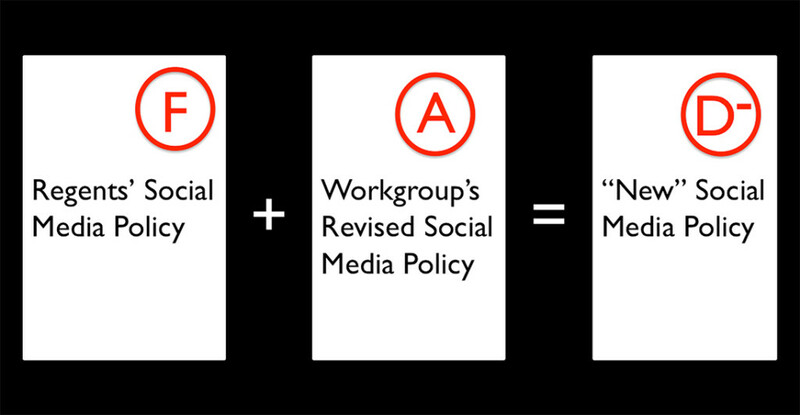 UPDATE #2 (16 April, 2:30 pm): Regents now say they will adopt “nearly all” recommendations of social media workgroup. 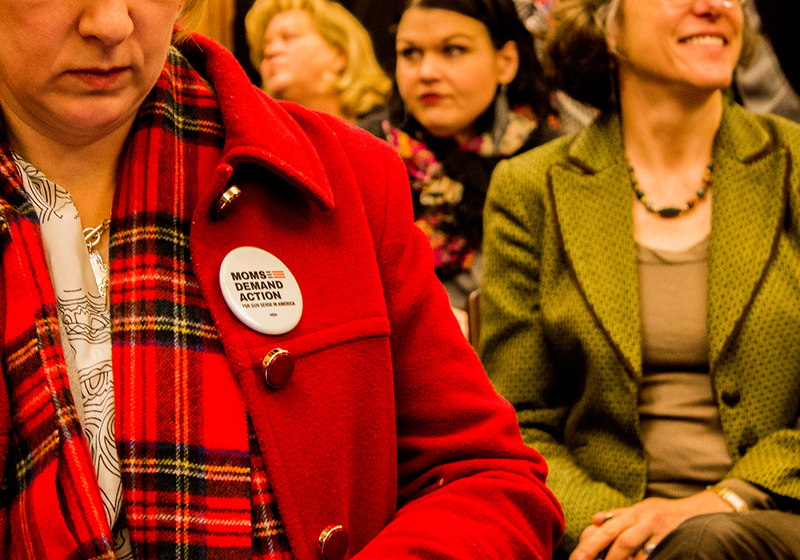 We write to offer strong support for the joint working group’s revision of the Kansas Board of Regents’ social media policy. The revised policy is laudable in several ways. First, it recognizes the unique and fundamental duty of public universities to contribute to the discovery, creation, and testing of new knowledge, as well as the educational necessity to encourage critical thinking and ensure breadth of knowledge for students. These are primary responsibilities of public universities; they differentiate college classrooms, university lecture halls, and campus libraries from nearly every other sort of work environment. Any policy regarding the sharing of thoughts and language in an academic environment must support this critical role for university employees. Second, the process of its development models scholarly inquiry. The group formed for this task includes individuals (faculty and staff) with multiple areas of expertise and experience. They analyzed existing policies across the Regents’ campuses, searched nationally for parallel policies, debated the goals and language among themselves, and released their draft for further scrutiny and debate within the academic communities where it will be implemented. This process exemplifies the very practices of scholarship that are so fundamental to academic work. Third, it offers true guidance for the proper development of campus-specific policies, relying on the specific procedures already mandated for policy development on the individual Regents campuses, each of which has an individual mission in which academic freedom and discourse must function. This draft is neither chilling nor punitive; to the contrary, it encourages thoughtful, informed examination of how the new technologies of social media complicate as well as facilitate public discourse. “The proper role of public intellectuals is to question accepted dogmas, conceive of new methods of analysis, and expand the terms of public debate,” John Cassidy observes in a recent review of a Harvard University Press publication (“Forces of Divergence,” The New Yorker, 31 March 2014: 73). As University Distinguished Professors at Kansas State University and the University of Kansas Medical Center, and Distinguished Professors at the University of Kansas and Wichita State University, we find this draft meets, supports, and exemplifies the role of scholarship for public intellectuals in a democracy. We endorse it with enthusiasm. UPDATE, 15 Apr. 2014, 1:00 pm: Philine Wangemann’s name was omitted from the original version of this letter. It has now been added. Apologies for the omission. Tom Roche’s name was added, but without the final “e.” Apologies for the misspelling. — Chuck Epp, co-chairman of the Workgroup and Professor of Public Affairs, University of Kansas (he is summarizing the response thus far). (Yes, that last one is me.) It’s unusual to have such wide agreement among academics. Because the revised policy is so sound, critics of the Kansas Board of Regents’ current policy have mostly been holding their tongues, hoping that the Regents will heed the advice they’ve solicited. On April 16th, the Workgroup will present the new policy to the Regents, and on May 14th the Regents will let us know whether they’ll accept the recommended changes. … The Board of Regents could have issued a strong signal of support for the principles of academic freedom and free expression by suspending the current social media policy and pledging to implement the workgroup’s recommendations. Instead, 36 member schools are left sitting below a virtual sword of Damocles, waiting to see how—or even if—the Regents will remove it. This 2014 Jefferson Muzzle is therefore awarded to the Kansas Board of Regents in hopes that First Amendment principles will guide them in resolving this issue as well as those they may face in the future. I can’t imagine how that would hold up in court. How do you measure harmony among co-workers? To the extent that you can, how do you prove causality? And what about when the “harmony” is either forced — as it almost certainly would be under this policy — or, worse, a form of delusional groupthink? What if the groupthink involves, say, discrimination? — Matt Reed, “A Lump of Coal for Kansas,” Inside Higher Ed, 19 Dec. 2013. Does your job own your civil liberties when you’re off the clock? Does it own your thoughts, expressed freely, when you’re home? Are we saying that the government can’t abridge your constitutional rights, but that The Brand can? If you answer instantly, “yes,” think again about what you’re saying, and about the kind of country in which you want to live. — Charles P. Pierce, “The Tyranny of the Brand,” Esquire: The Politics Blog, 19 Dec. 2013. In giving university leaders the authority to discipline or terminate even tenured professors for vague, subjective offenses, the regents have set up a chilling environment that runs contrary to the ideal of academic freedom. 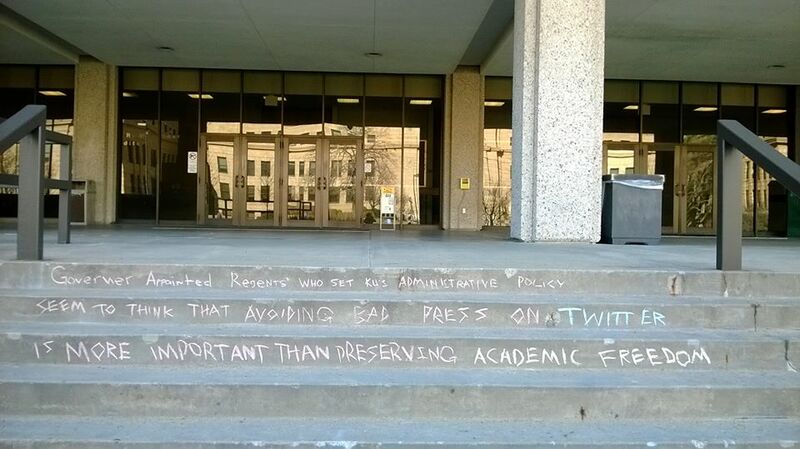 — “Kansas Board of Regents social media rules imperil free speech,” Kansas City Star, 20 Dec. 2013. Whatever threat is posed by social media at state universities should be balanced against the threat of those universities becoming known as places that don’t tolerate the free flow of ideas among their faculty and staff. The possibility that the policy could affect universities’ ability to recruit and retain top faculty members seems like a reasonable concern. — “Editorial: Curbing Speech,” Lawrence Journal-World, 22 Dec. 2013. It’s an anti-free speech manifesto that sounds like a pronouncement from the government of a banana republic. The Board of Regents truly should back up, take a deep breath, and decide on something that meets the needs of its great universities. — “New Regents policy really bad idea,” Manhattan Mercury, 22 Dec. 2013. The regents seem to have milked the Guth incident for maximum possible censorship, and now the verboten also extends to statements that are “contrary to the best interests of the university” or anything that “impairs discipline by superiors or harmony among coworkers.” It is these two phrases’ ominously wide reach—and overt insistence on lockstep fealty—that are legitimately terrifying. … Of course, the regents may think they’re stemming a rising tide of inflammatory violence-tweets, but in reality theirs is an outsized, reactionary maneuver that harnesses hysteria to further a repressive agenda. — Rebecca Schuman, “The Brave New World of Academic Censorship: If you’re a professor in Kansas, better stay off the Internet,” Slate, 22 Dec. 2013. And because of the public role these universities serve, threatening to fire professors and staff members if they post something on social media that is “contrary to the best interests of the university” violates free speech rights and becomes a First Amendment issue. At its heart, the Kansas policy exemplifies a larger problem afflicting all of government – the hair-trigger use of punitive authority whenever the agency’s public image is imperiled. At many, if not most, government agencies today, it is easier to get fired for making the agency look bad than for actually doing your job badly. — Frank D. LoMonte, “A Dangerous Policy,” Inside Higher Ed, 2 Jan. 2014. The policy stifles free expression, adversely affects morale at all universities, makes it harder for us to recruit top-tier faculty, and indeed makes it likely that our own faculty will seek work elsewhere. If we lack the ability to debate controversial ideas, we cannot do our jobs as teachers or scholars. — “Distinguished Professors from KU and KSU: Open Letter to the Kansas Board of Regents.” This ad ran in the Manhattan Mercury, the Lawrence Journal-World, and the Topeka Capital Journal on 12 Jan. 2014.
if the new policy is implemented, professors could be subject to termination if their disagreement is professed too loudly, or in the wrong way, or even at all. 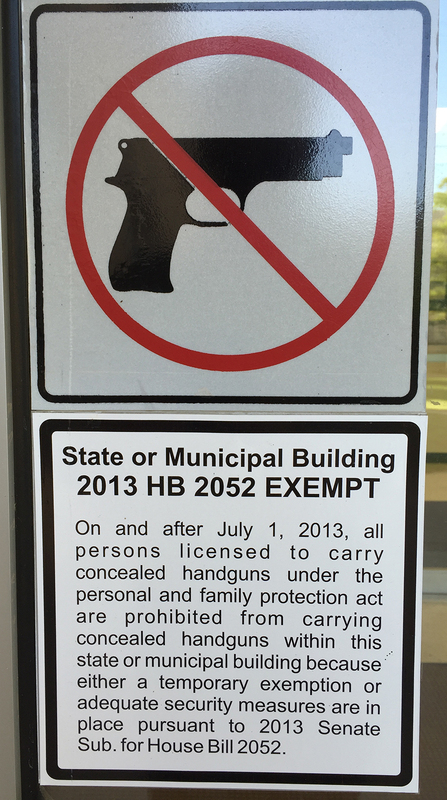 Fortunately, I happen to be writing from the relative safety of Texas, where repressive tactics like those proposed in Kansas haven’t – as yet – gained much purchase. But I wonder whether, if I raised these same modest objections in Wichita or Topeka, I could be subject to termination. No wonder the Kansas professoriate and the American Association of University Professors are pushing back. The essential nature of the university – in Kansas and elsewhere – is at risk. — John M. Crisp, “A university isn’t a business, even in Kansas,” The Gulf Today [United Arab Emirates], 4 Feb. 2014. There’s an abundance of negative reviews — student governments, faculty senates, and many others have called for the policy’s suspension or removal. I’ve not included all here. If you’re interested, you might peruse this more extensive list of press coverage, at the bottom of my original post on the subject. If they elect to retain the current policy or make only cosmetic modifications to it, the Kansas Board of Regents can expect more bad press. So, I hope the Regents will adopt the carefully revised policy, created by the workgroup that they formed. They have a golden opportunity to make Kansas famous for thoughtfulness, and to offer a model social media policy for other universities to emulate. Will they do the right thing? I guess we’ll find out on May 14th. Until then, our rights remain tenuous, at best. Even though the days are getting warmer, a chilling climate persists on the campuses of Kansas universities. 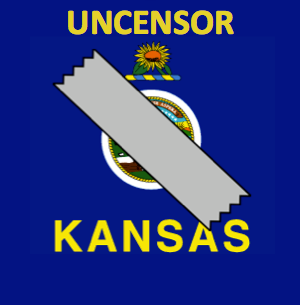 Image sources: Kansas Board of Regents, Google search for “Kansas Board of Regents,” Uncensor Kansas (Facebook page). On Facebook, there’s also the more active group, Kansas Universities’ Faculty & Staff Against Regents’ Speech Policy. A more comprehensive list of relevant links can be found here, and of course there are several posts on this blog tagged Kansas Board of Regents. This is an open letter to our colleagues at the Regents universities in Kansas (Emporia State University, Fort Hays State University, Kansas State University, Pittsburg State University, University of Kansas, University of Kansas Medial Center, Wichita State University), but anyone who would like to participate is welcome to do so! As the Kansas Board of Regents prepares to consider the workgroup’s recommended changes to its social media policy, we’re inviting you to join us in helping students understand the important implications for themselves, their university, and their society. On Monday April 21 and Tuesday April 22, we’re going to do a “Five on the Hour Pause,” where at the top of the hour we each take 5 minutes to talk a little bit about why freedom of speech is important to our discipline, academia, and the culture at large. We’re doing it at the top of each hour to provide a sense of the unifying, interdisciplinary importance of this topic. We’re proposing two days to cover classes that meet MWF as well as Tu-Th. If your class meets once a week but not on a Monday or Tuesday, then we invite you to simply take five minutes during that class on whatever day it meets. We believe this is an important teaching moment for all the students at our campus. The university is a community of scholars. As scholars, we discover new knowledge and create new ideas. These ideas are different from what has come before, and difference can be controversial. Indeed, sometimes our ideas challenge social mores. To test our ideas, we debate them, refine them, change them. This process of creation and discovery — evaluated through open and unfettered dialogue — is the means by which our civilization progresses. And the only environment under which this process can occur is an environment of free speech. (2) Identify the discipline-specific implications for the class you’re teaching. 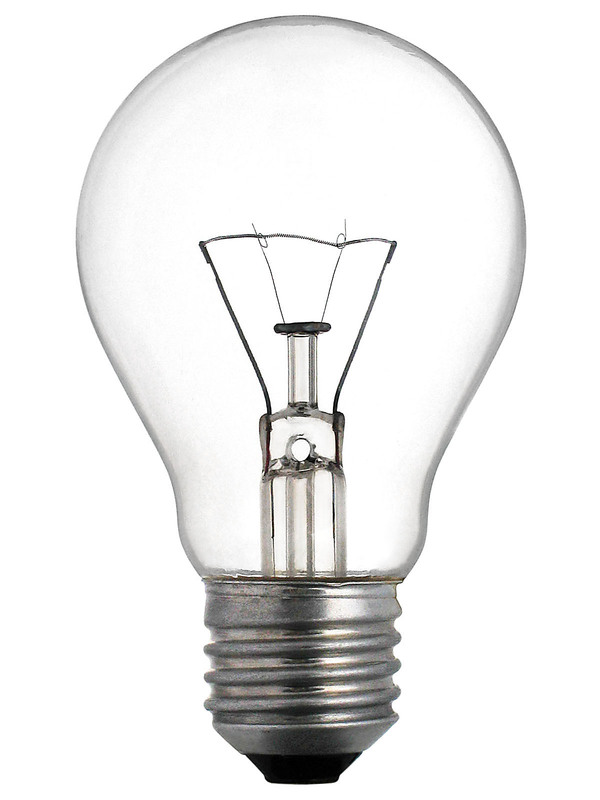 How have unconventional or controversial ideas, research methods, literature, etc. impacted the field your students study with you? (3) Invite students to read the KBOR’s policy and the workgroup’s recommendation for a new policy. Inform them about the process involved thus far, who the participants are in these current events, as well as the timetable for public commentary: <http://www.k-state.edu/today/announcement.php?id=13496>. Invite them to explore further the connection between “real world” current events and the concept of academic freedom as it pertains to the subject they study in your course. Do not require your students to take any specific action. 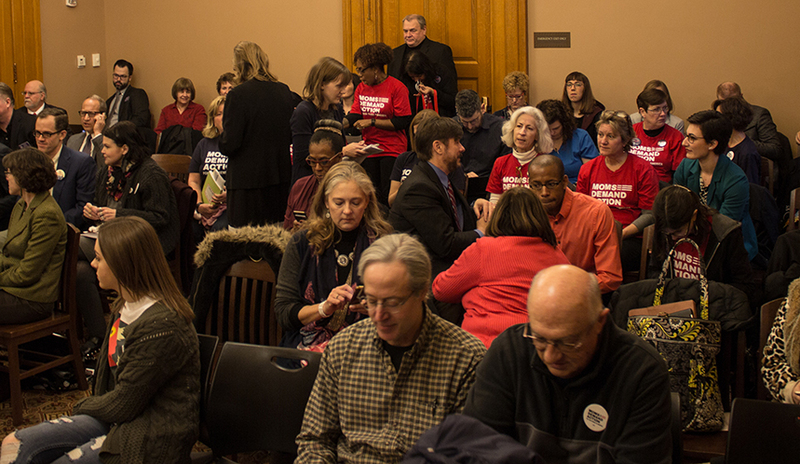 Do not use class time to lobby on the issue: remember that this is a teaching moment and not a form of political activity, in keeping with Kansas State law and KBOR policies. Thanks very much for considering joining us. Image source: Uncensor Kansas (Facebook page). On Facebook, there’s also the more active group, Kansas Universities’ Faculty & Staff Against Regents’ Speech Policy. Unless all university employees take a vow of silence, it’s impossible to abide by so broad and all-encompassing a policy. So, friends, Kansans, and allies of freedom of speech everywhere, join me in a little experiment in civil disobedience. 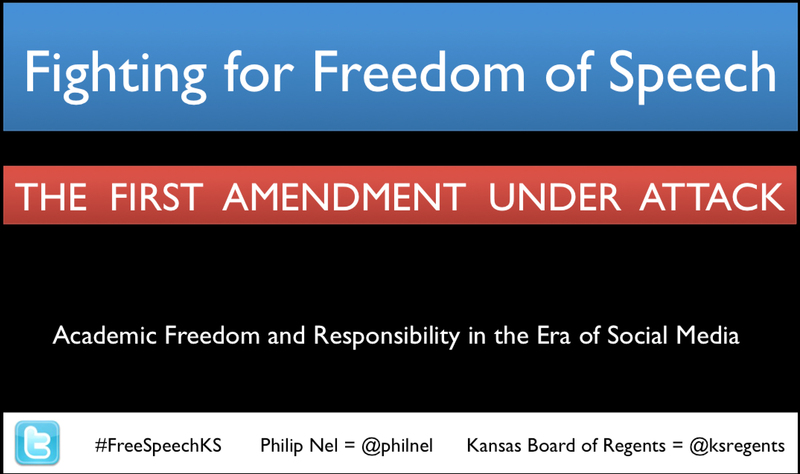 If you’re on Twitter, tweet something and tag it #ksspeech — that’s “ks” (the postal abbreviation for Kansas) plus the word “speech.” If there’s still room, tag @ksregents as well. What should you tweet? Anything you like. A quotation. A recipe. A hypothesis. An observation. A pun. Something else. I will be tweeting one such statement each day until the Kansas Board of Regents rescinds its unconstitutional social media policy. But I don’t see why I should have all the fun. Join me! I plan to keep my Tweets civil. I mean, I could say that the Kansas Board of Regents are cowardly political appointees who lack any qualification to oversee higher education (112 characters). 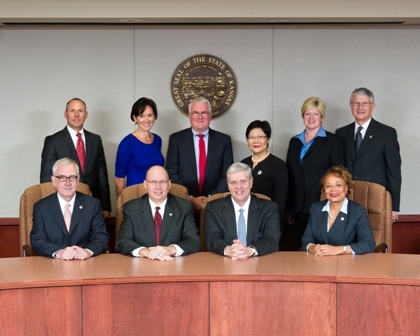 I could also say that the Kansas Board of Regents are addle-brained dunderheads (53 characters). But I wouldn’t. To give credit where it’s due, I’ve borrowed the idea of daily tweets from Amy Lara (@AmyLara12), who has been doing this on Facebook, and is now doing it on Twitter as well. Why not join us? If you can’t think of something to say, just RT (retweet) ones that you like. You might even MT (modified retweet) someone else’s tweet and add the #ksspeech hashtag. So many ways to participate! It’ll be fun! If you’d like to be listed as a participant in this experiment, just let me know (via the comments or email) your Twitter handle, and I’ll add it below. If you don’t want to be listed, then say nothing. Thanks! Update, 12:40 pm, Thursday, 30 Jan.: I thought inviting people to add their name (above) would be a good way of keeping track of support, but a much better measure seems to be all the RTs (retweets) and new tweets bearing the #ksspeech hashtag. Here’s a sampling. #ksspeech @ksregents are you afraid of open debate? Image credit: The photograph of KU graffiti comes from Howard Callihan on Facebook, but I learned of it via Kansas Universities Faculty & Staff Against Regents’ Speech Policy (also on Facebook).